Atom is an open source project aiming to transfer the new 3d printing technology to the world through open source philosophy to help our maker community by introducing low cost yet effective 3d printers to be affordable to anyone . We trying to spread out 3d printing and to create a community concerned about exploring and developing this amazing technology. Our goal is to put the ATOM of 3d printing in the world ! With open source we hope to create faster development rate by increasing the tendency of researchers and developers to work and share their knowledge with us to introduce new ideas and concepts adding to this new technology. Disclaimer : *Work adaptation allowed to be shared as long as others share alike. *This product represent our beta releases, one of our early prototypes that we make available for use and testing. *Releasing our product as ‘beta’ means it is still currently in a developing-testing stage, it is not finished product and may contain bugs. *We are not take any responsibility for any shortage or harms might occur. By downloading, you agree to the terms and conditions. ​In this video tutorials you will know how to build your own 3D printer and how it works. 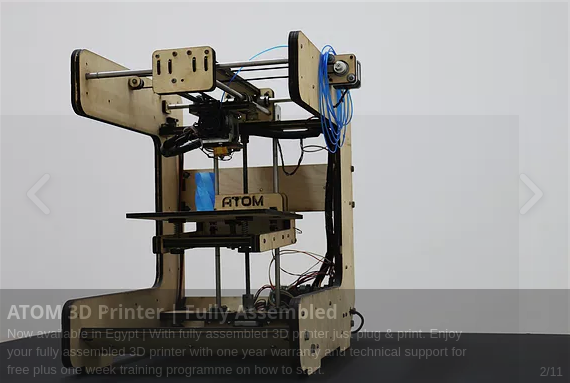 ​After watching this basic assembly guide you will be able to assemble ATOM full kit yourself and you will know how ATOM works in particular and almost any other FDM 3D printer in general.